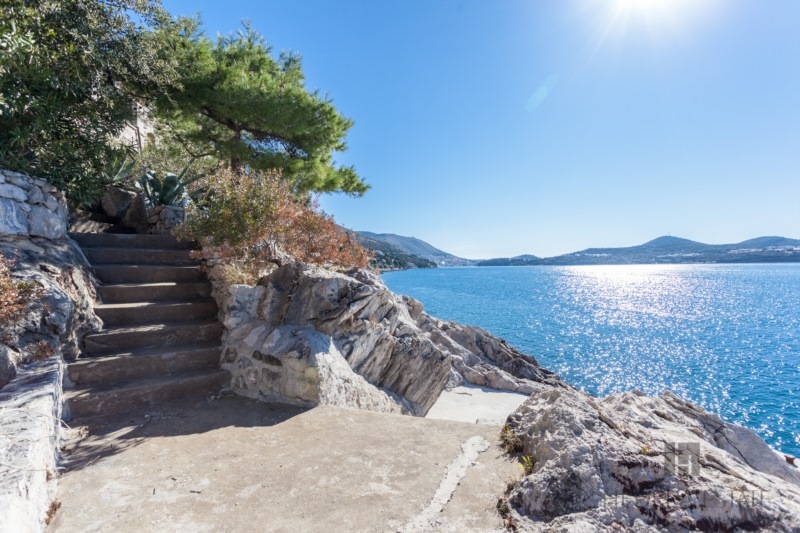 Set in Lozica right on Adriatic Sea side about 10 minutes drive from Dubrovnik, this one-bedroom apartment offers excellent views, direct beach access and shared swimming pool. Where horizon meets the sea - the property is a dream to wake up in. 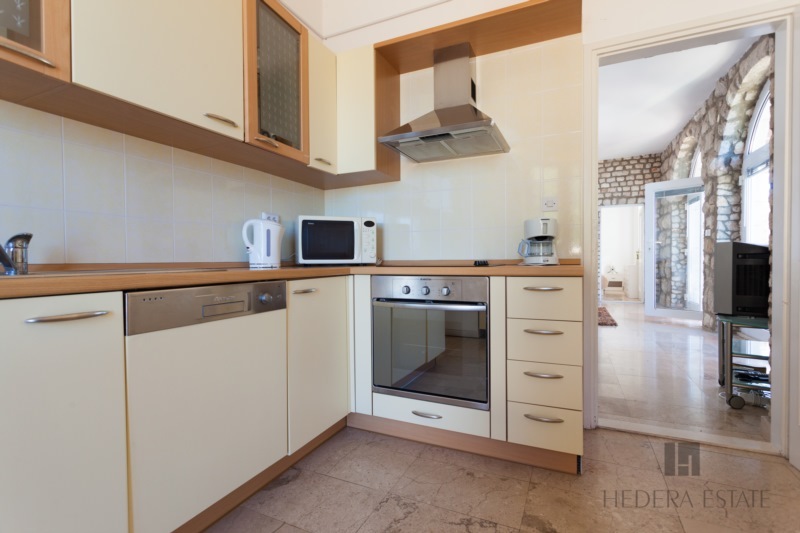 The apartment (60 m2) consists of one double bedroom, bathroom with shower, living/dining room with pull out sofa bed which can accommodate 2 additional guests, and a fully equipped kitchen with microwave, oven, fridge, kettle, toaster, coffee machine, and dishwasher. From the living room glass doors lead to a terrace which shares wonderful views, here you can find swimming pool, loungers, and entrance to the beach. Private parking is available in front of the building. 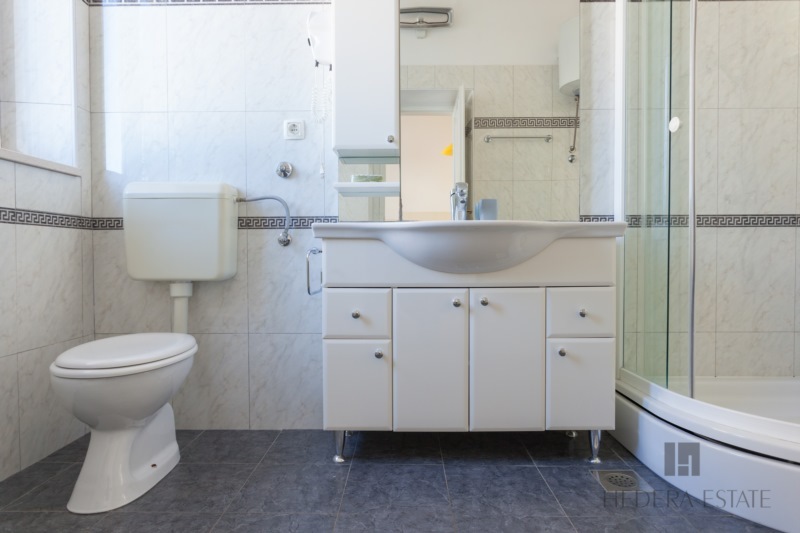 Amenities include: Air conditioning (all rooms), heating, wireless Internet access, SAT TV, Hi-Fi, full kitchen with dishwasher, washing machine, BBQ, shared pool, iron, hair dryer. 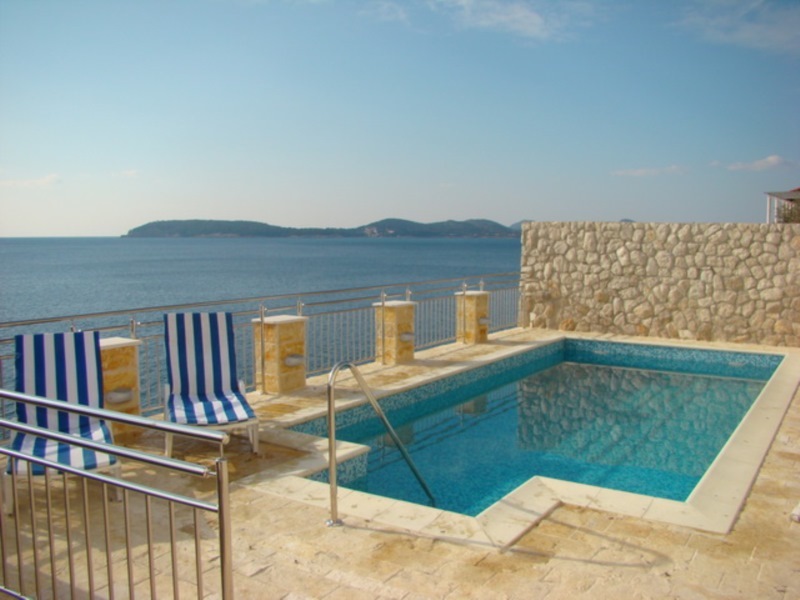 Lozica is a residential area by the sea, distanced 8 kilometers from Dubrovnik. 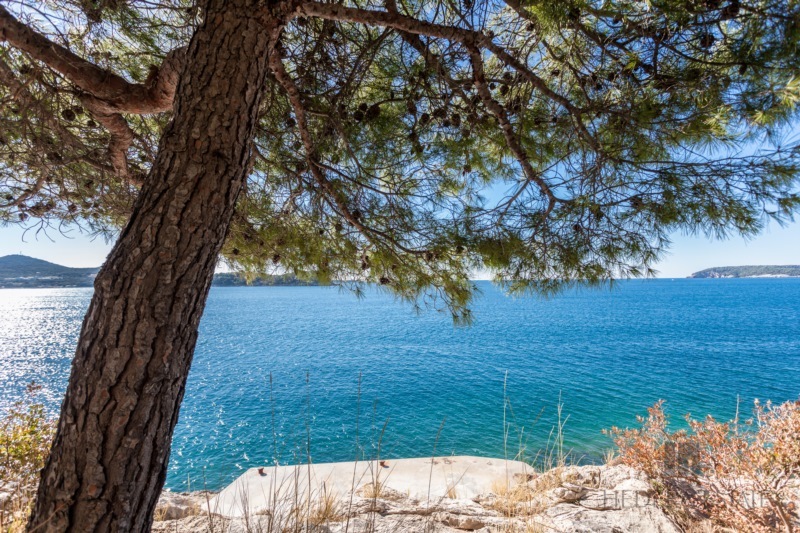 The landscape enjoys spectacular views to the nearby islands and Dubrovnik. The apartment is located 50 steps below the parking level of a villa and rented out as a single unit out of season. Nearest supermarket, ATM and restaurant are 3 kilometers away. A car is recommended to stay at this property as bus stops, shops and amenities are not within walking distance. Hedera A45 sleeps 2(+2)* guests. * Possibility to accommodate additional 2 persons on the sofa bed in the living room. 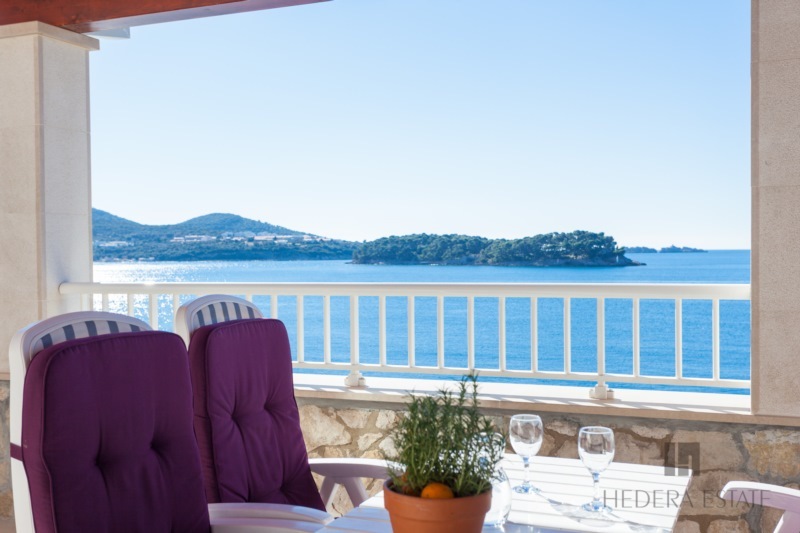 Set in Lozica right on Adriatic Sea side about 10 minutes drive from Dubrovnik, this one-bedroom apartment offers excellent views, direct beach access and shared swimming pool. Where horizon meets the sea - the property is a dream to wake up in. Read more... .
Our stay here was amazing, the pictures of the place do not do it justice, highly recommend staying here if you want to be 5-10 mins away (by car) from old town and have the privacy and tranquility of the beautiful surroundings. Great to have access to a beautiful pool and private beach, only complaint is that we wish we stayed longer! Please note however it's best to have a car if you decide to stay here. Host super helpful and responsive!